Wide variety of colors and styles! 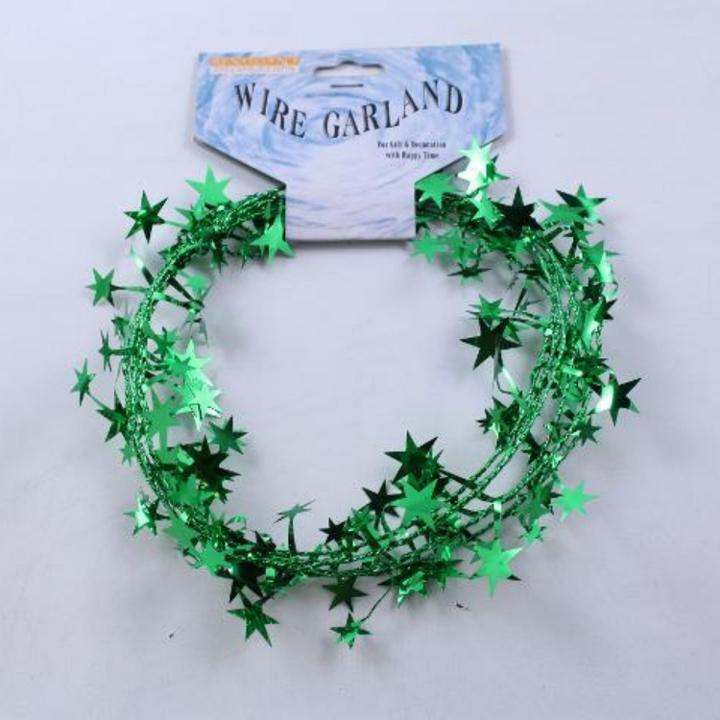 Splash shimmering color along walls and around windows with our Green Star Wire Garland! Festive garland measures 9 feet long and is easy to hang. Garland features assorted die-cut green stars attached to a long green metallic wire strand that can be easily adjusted to fit your decorating needs. This will turn your party or special occasion from ordinary to extraordinary in seconds! Perfect for holiday decorating and gift wrapping. See our full selection of paper, wire and foil holiday garlands. L: 7.0 in. W: 8.0 in. H: 0.5 in.